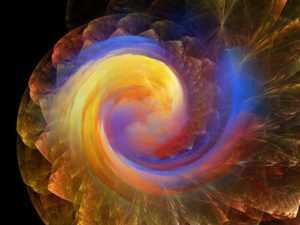 A soul infusion reading is designed to help you explore, heal, and arrive at your own soul’s wisdom and knowledge to live in the true essence of your earthly path. Many people spend a significant amount of their journey on the earth running from their heart, soul, and inner self. The heart and soul long to be reunited with your true nature which resides behind the ego, personality, and mask. A soul infusion reading will provide loving support and sacred space for you to navigate deeper in and through your direct experiences of existing and ancestral patterns;spiritual healing and intuitive insights; to deepen the direction of your path and opening up the clarity and presence of your true soul self. Healing is not meant to remove the pain, it is meant to provide learning experiences, loving clarity, healing, expansion, and guidance for walking through the grand hallway of the pain story; to move beyond the pain into your reality of the unfolding destiny awareness of your soul’s path. Sessions are done anywhere in the world via Skype or phone or in person in Sedona, Arizona. Free yourself to travel your own road into your soul life wisdom and knowledge. Terms and Conditions: All sessions are prepaid. To schedule a private session, you can make your session payment via the PayPal payment button above. Payments can also be made with a credit card via the PayPal system. Once we receive your payment you will receive an email to schedule your specific day and time. Direct all questions about the session using the contact us form above. All no-shows are non-refundable. When you book your appointment you agree to these terms and conditions.